Why do you race? 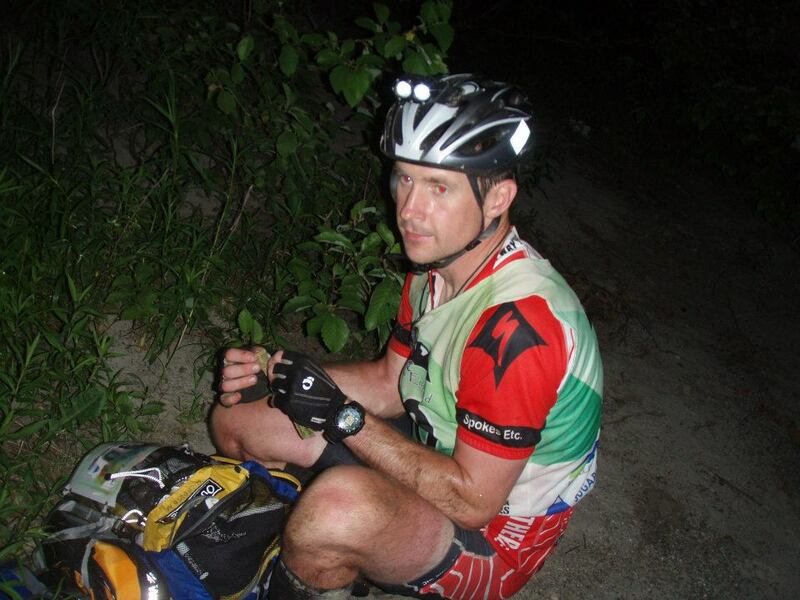 I race because I am competitive by nature, but the real draw for me is the team aspect of adventure racing. I find it fascinating how different people operate under stressful conditions and extreme fatigue. How did you come to AR? I was introduced to AR by Shane Hagerman, The Godfather of THWT when he offered to race with me at sprint race in Richmond, VA.
How did you come to THWT? After a few races and many training sessions with Shane and others already on the team, I was offered the chance to race my first 24-hour AR with Jeremy and Lukas at the Odyssey Fall Finale. I have been racing on the team ever since. What do you like about THWT? Why do you stay? I like the laid back attitude of the team when not on the race course and love the way each and every one of us drop the hammer on race day. I think the members of this team are the definition of “work hard and play hard”. I stay with the team because of the people. I enjoy all of the different personalities and have always felt welcome even though I’m a newbie. Something you’ve learned through AR that you take with you beyond the race course? I have learned that true teamwork can take you very far in racing, as well as, in life. In AR, the team is only as strong as the weakest person at any given time. The weakest person can fluctuate constantly throughout a race, so communication is critical. Having seen great communications from members of this team when everyone is tired, hungry, and exhausted has really inspired me to be a better communicator outside of racing. What does the future hold for you and AR? I plan to keep pushing my limits in AR and one-day hope to be competing for a national championship in one or more of the AR series. I would also like to get a chance at racing overseas at the Adventure Racing World Series (ARWS) championship against the best teams in the world. Specialty If I had to pick a specific discipline I would have to go with trail running/trekking/bushwhacking. I feel the most capable on my feet. I am also the type of person that will not give up regardless of the situation. The more difficult something is, the more determined I am to conquer it. Favorite race/event? The first AR I competed in. I say this because I suffered more in that six hours than I have in any race since. The race was Hampton roads Sprout race and it was about 90 degrees and humid. I had no idea what I was doing even though Shane gave me great advice leading up to the race. It was obvious I didn’t listen or thought I could easily do a 6 hour event. Boy was I in for a rude awakening. I dealt with debilitating cramps for about 4 of the 6 hours and was too stubborn at times to give up my pack. I learned so much from that race and truly feel it has helped me be successful so far in AR. I was instantly hooked and have not looked back since. We ended up winning the race thanks to Shane towing us all around Pocahontas state park.